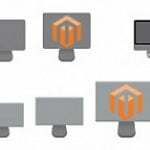 We’ve already described several gift card Magento 2 extensions here: Magento 2 Gift Card Extensions Comparison. And in the following post you will find our review of the MageDelight Gift Card Magento 2 module. 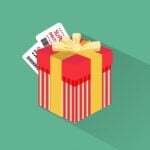 This extension adds a new type of products to your catalog – gift cards. They can be purchased by one customer and sent to another offline or online. As a store owner, you can create gift cards for various occasions as well as customize their appearance and value. Install the MageDelight Gift Card Magento 2 extension and let your customers buy gift cards and send them as presents. It is possible to select among various gift card values as well as choose between offline and online sending modes. Furthermore, the module allows to create personal messages and choose preferred images for any template. Provide customers with total freedom of choice and let them get creative. 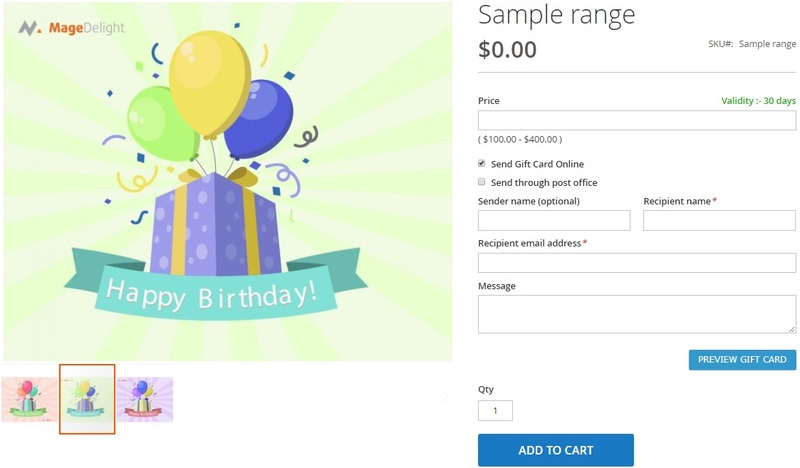 Everything can be previewed before adding a gift card to cart, including sender’s name, card’s price, recipient’s name, and recipient’s email address. As a store owner, you can track the usage of every gift card. The MageDelight Gift Card Magento 2 module allows to track a gift card status. The same opportunity is provided to customers via the appropriate taof a customer account. Thus, it is possible to find out whether the card is expired or not and what is its current balance. Feel free to create the unlimited amount of gift cards with all possible value types. It is possible to use either fixed prices or provide customers with price ranges. The same is about gift card codes: you can create and manage them via backend without any limits. Let’s configure the MageDelight Gift Card Magento 2 module. The appropriate page is available under Stores -> Settings -> Configuration -> MageDelight -> Gift Card. It contains three sections: License Configuration, General Configuration, and Email Settings. The License Configuration section of the Gift Card Magento 2 extension is similar to other MageDelight’s modules: it requires serial key and activation key to be entered. You get both after purchasing the extension. 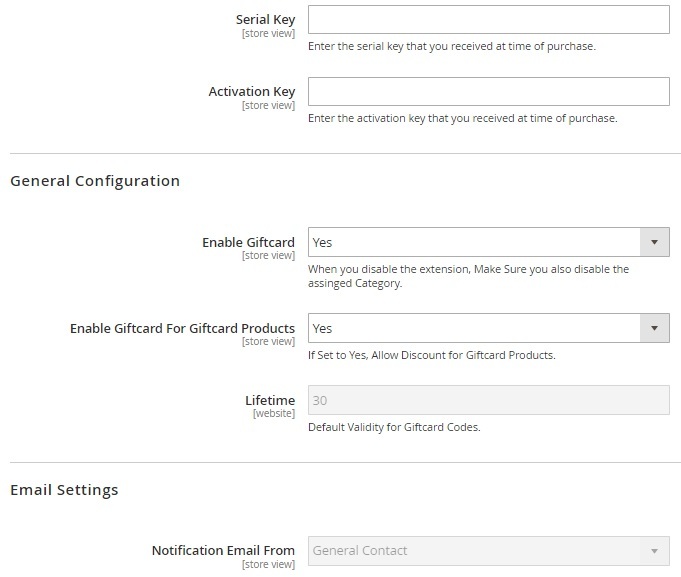 In General Configuration, enable the extension, allow discount for gift card products (set “Enable Giftcard For Giftcard Products” to “Yes”), and specify the lifetime value for gift cards. As for Email Settings, this section allows you to specify a notification email sender. Now, let’s figure out how to manage gift card codes. The appropriate grid is available under Giftcard -> Manage Codes. The grid illustrates the following information: code ID, code itself, balance, remaining balance, status (active, inactive, expired, pending), as well as creation and expiration time. It is possible to edit or delete each gift card code as well as add a new one. 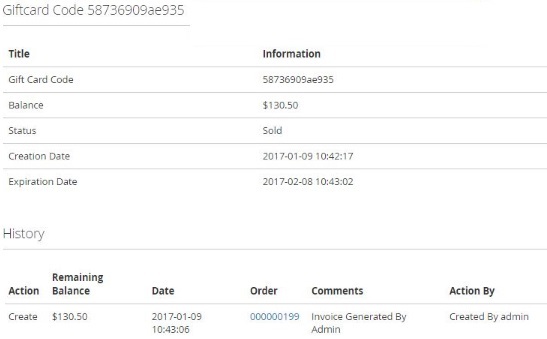 Mass actions allow you to delete, activate, or inactivate codes in bulk. While editing a gift card code, you can view its code number and main balance, but both fields can’t be edited. Next, you can change the remaining balance, status, expiration date and message. Besides, it is possible to inform recipients about changes. Next, you can edit sender information. Open the Customer section and change customer name and email. The same is about recipient. The Recipient section is available below. The History section illustrates the usage of the gift code. Now, let’s manage gift card products. Go to Giftcard -> Giftcard Products. 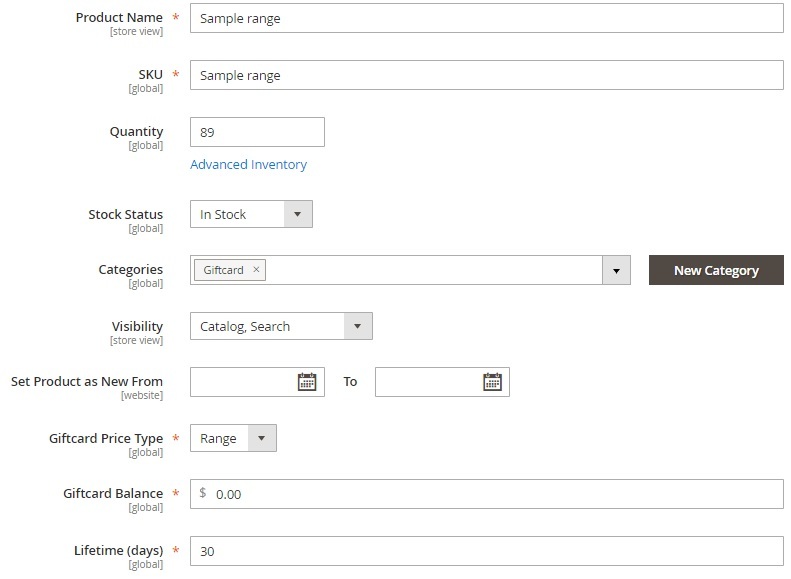 The grid here shows such parameters as product ID, thumbnail, name, type, attribute set, SKU, price, visibility, status, and website. Each gift card product can be edited individually. Besides, you can delete, disable, or enable them in bulk. While adding or editing a gift card product, you have to deal with the standard product page: enable the product, select attribute set, specify product name, SKU, and quantity, set stock status, select categories to display the product in, choose visibility options, set dates for displaying the product as new, select gift card price type (fixed or range, specify its value, and set a lifetime in days. Add multiple images under Images And Videos. Under Giftcards -> Giftcard History, you can view all gift cards, their statuses, values, and appropriate order IDs. 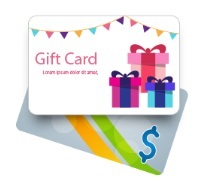 The category page with giftcard not only contains all giftcard products, but also provides a pleasant bonus. Unlike other similar Magento 2 gift card extensions, the MageDelight Gift Card Magento 2 module provides filtering options. Thus, you can filter out the selection of items by gift card balance, maximum or minimum price, and price type. The gift card product with a price range allows to specify any value within the existing price limits. 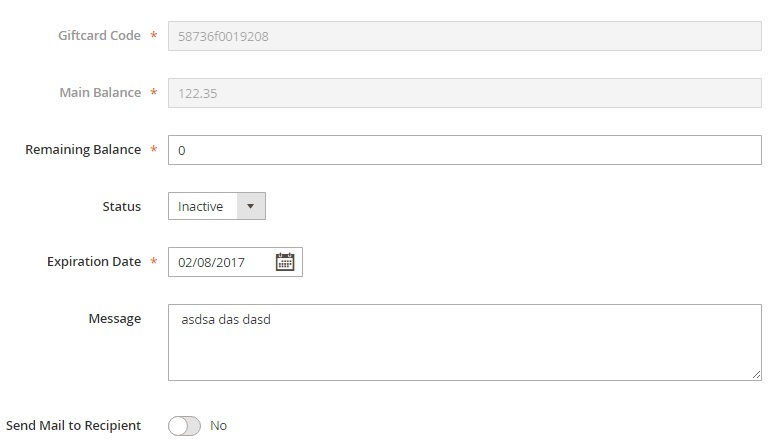 Besides, it shows the period of validity and allows to choose online or offline sending mode (it is necessary to fill recipient’s address as the shipping address on a checkout page for the offline mode), specify sender and recipient name as well as a recipient email, and leave a message. Besides, the MageDelight Gift Card Magento 2 module allows to send several gift cards simultaneously: just change the product quantity. As for the customer account, the appropriate section is added. The new tab is called Giftcards and it allows to check the gift card information by entering a gift code.